The Firewing is an entirely new beast for RRD this season, coming with eight battens and four cams as standard in the larger sizes and classed as the brand’s ‘Pure Race’ candidate. Dispensing with the Race Tuning System of old isn’t the only change – despite possessing the same measurements as its predecessor in this 7.8m size, the MK6 has a wider luff sleeve to increase efficiency, and also benefits from new vertical seam shaping, increasing depth to the draft without impacting upon stability. Rigged on a Firewing 460 SDM, it requires a lot of downhaul tension, the mid-leech opening up significantly whilst the upper leech remains relatively tight. The concept is to enable the sail to pin the board to the water, whilst still releasing and accelerating in gusts. In addition, the MK6 has a slightly longer boom than before, said to provide more feedback and drive through the back hand. Build quality is excellent, with many of the industry’s latest developments and materials incorporated, such as integrated batten pockets, two clew eyelets for increased tuning range and visual trimming guides for ease and practicality. Fully downhauled, there is so much tightness in the sail’s leading edge that the foot of the sail becomes loose itself, re-tensioned through use of the tack strap. 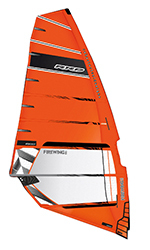 With more battens and cams in its layout than any other sail here, it is no surprise that the Firewing has a distinct leaning towards stronger winds than most here. In marginal winds it feels a little lifeless and unresponsive, its relatively shallow profile preferring to wait until the pressure builds, instead of swelling or flexing under pumping. That said, when a gust hits the feedback through the back hand is very useable, the long boom making the power surge obvious and enabling the rider to exploit and direct it into the board. Once going, the stability of the Firewing is immediately apparent. Firm and super balanced, it has a real hunger for extra power and comes to life in the hands as it rushes forwards. Pinning the board down well, it can’t help but give the rider confidence to keep charging, its alertness and efficiency making it feel lighter to the touch, inspiring the user to race anyone on the same trajectory. The same can be said in transition as you enter with speed, the sail’s lightness and balance masking over its size as it is repositioned. The cams tend to stick a little mid-rotation, but then complete their movement as the pressure builds, providing little concern or jolting for the rider. As the wind keeps building, the Firewing became increasingly favoured amongst the team – its steadfast stability and fast fluid nature cutting through the air, making it hard to beat. 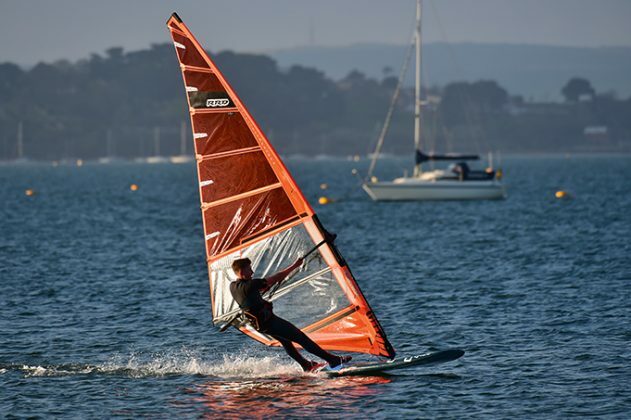 A race sail through and through, the Firewing may thrive on being powered at all times, yet its handling and manners make it accessible and flattering for the weekend blaster, just as much as the aspiring competitor. The Firewing has a new persona for 2018 and moves seamlessly into the high-end, highly tensioned no-compromise category. Needs to be powered to fully appreciate its potential, but do so and you’ll realise that top end performance is actually very accessible today.